Iran is to host a new centre affiliated with the World Tourism Organization linking tourism demands and handicrafts supplies, says a high-ranking tourism official. Pouya Mahmoudian, a deputy head of Iran’s Cultural Heritage, Handicrafts and Tourism Organization (ICHTO) said the centre is to be established at the Islamic Republic’s suggestion. “During the recent visit of Zurab Pololikashvili, the Secretary-General of the World Tourism Organization, to Iran, we offered to establish a new centre charged with linking tourism demands and handicrafts supplies,” he said. According to Mahmoudian, the offer was made based on a deep belief in strong bonds between the two areas and also Iran’s capacities as the third largest producer of handicrafts in the world. He went on to say that the proposal was raised and discussed extensively among the member states and finally approved unanimously. The offer, he added, was aimed at deepening the bonds between tourism and handicrafts to open new horizons for both industries in today’s world. 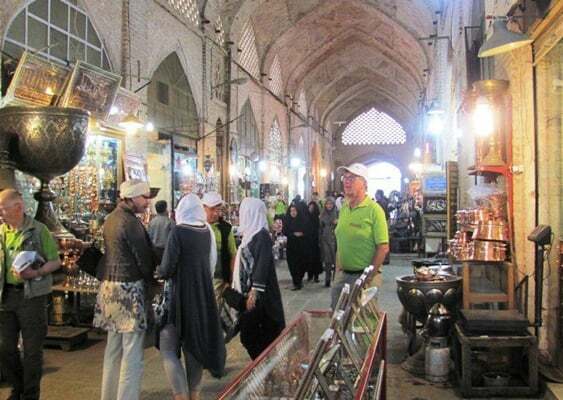 According to the Iranian official, as the first phase of the project to establish the new centre, the Islamic Republic is planning to hold a conference on tourism and handicrafts next year. The conference is to be attended by the representatives of the WTO member states to prepare the ground for further exchange of knowhow and experiences in the mentioned areas. He also said efforts are underway to set forth new plans and develop various roadmaps to make the project operational. To this end, the Islamic Republic is involved in direct negotiations with the World Tourism Organization which will officially announce Iran as the host of the new centre at the end of its upcoming meeting, he added.